If you are a fan of pickled vegetables, you have to try out my family recipe for homemade pickled beets. With just six ingredients, this simple recipe comes together in less than an hour and is ready for it first tasting in 24 hours. These red beets are perfect for topping on a salad, serving as a side dish or taking to a summer picnic. Fun act about me is that I loved pickled beets as a kid. I genuinely loved them so much that I took them in my packed lunch to school. I was the kid with pickled beets and kiwi in her lunch in the 80’s. And look at me now! My family loved beets so much, we were planting beets in the garden. Fresh beets are SO GOOD! How long do pickled beets have to sit before eating? Pickled beets have to sit and pickle for a minimum of 24 hours but up to a week in the refrigerator for the best flavor. Should pickled beets be served hot or cold? I serve pickled beets cold. Refrigerator cold is how I like to serve them. I think you are able to taste all the spices in the pickling better when the beets are cold. 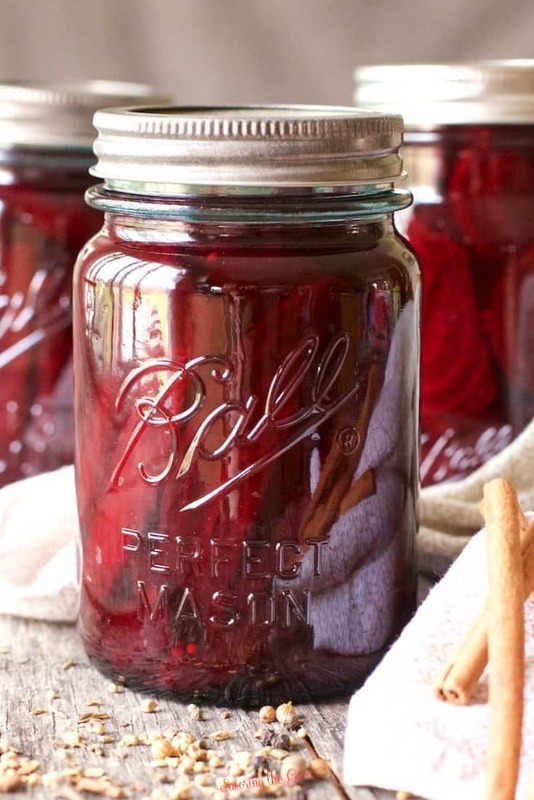 Can you reuse pickled beet juice? After enjoying pickled beets, there is usually leftover pickled beet juice. Steam another batch of beets and pickle them in the leftover brine. BUT only reuse the brine one time. I use any extra pickle juice to make red beet eggs. Do you peel beets before pickling? I have always taken off the stems and leaves as well as removed the outer skin of the beet before pickling. I am sure you can scrub the beets very well, but I like to be sure all the dirt is removed and the beets are super smooth, by removing the outer skin. How to steam and peel beets. Cut off the leaves but save the stems. In a wide bottomed pot, place the beets and the beet stems in a single layer. Turn the heat to high and bring the water to a boil and steam the beets until knife tender. Remove the beets form the pot and allow to cool until able to be handled. Reserve the steam liquid for the pickling liquid. Once the beets are cooled enough to handle, slice off the root and the stem end. The skin of the beet should peel right of with a bit of rubbing with your thumb or scrape with a butter knife. Slice larger beets for pickling and leave smaller ones whole. Tip: use gloves to keep your hands from turning beet red. How to make pickled beet brine. In a small saucepan, combine the sugar, white vinegar, steamed beet liquid, slat, cinnamon sticks and pickling spices. Bring to a boil and turn off the heat once a boil is reached. Now that you have steamed the beets and made a simple pickle bine, it is time to actually get the pickling done. My mom would slice the beets and put them in a Tupperware juice container and pour the pickling brine over them. She would pop the container in the refrigerator and we were able to taste test them a day later. You are welcome to us my mom’s technique but if you want to pickle beets in jars, here are those instructions. 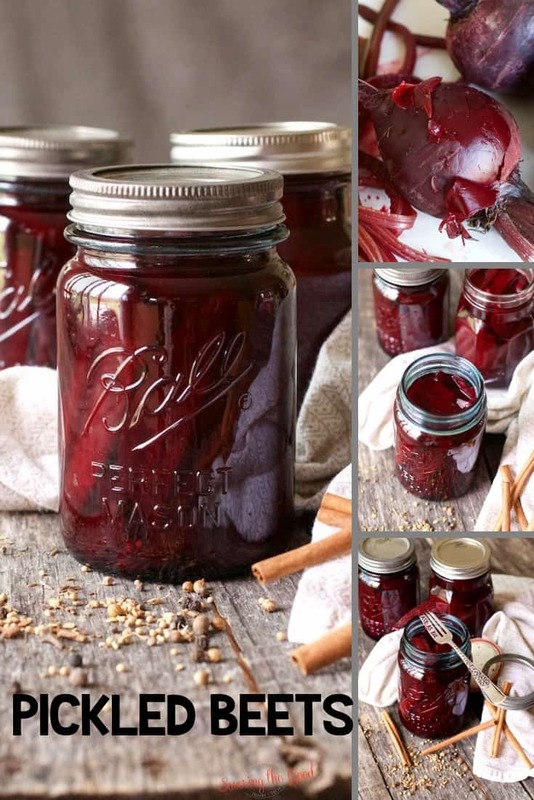 Fill each jar with sliced beets or whole beets, if they are small. Pour the cooled brine over the beets, tapping the jar to remove any air pockets. Place a clean lid and ring on the jar and finger tighten. Store in the refrigerator over night and taste the next day for pickling. Use refrigerated beets within a month. Sterilize jars and lids by boiling them in water for at least 10 minutes. Add peeled and sliced beets to each clean jar. 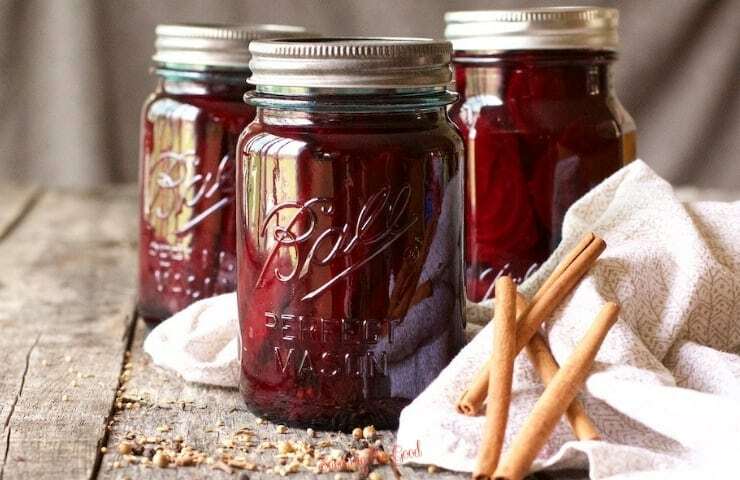 Bring the pickling brine to a simmer and pour the hot brine over the beets in the jars, leaving 1/2″ of head space in each jar. Wipe down the rim of the jar and place on a new, clean lid and finger tighten a ring onto the jar. Place a rack in the bottom of a large stockpot and fill halfway with water. Bring the canning pot to a boil over high heat, then carefully lower the jars into the pot using a jar lifter. Leave space between the jars and add more boiling water until the water level is at least 1 inch above the tops of the jars. Bring the water to a full boil, cover the pot, and process for 10 minutes. Remove the jars from the water bath canner and allow the jars to cool to room temperature. 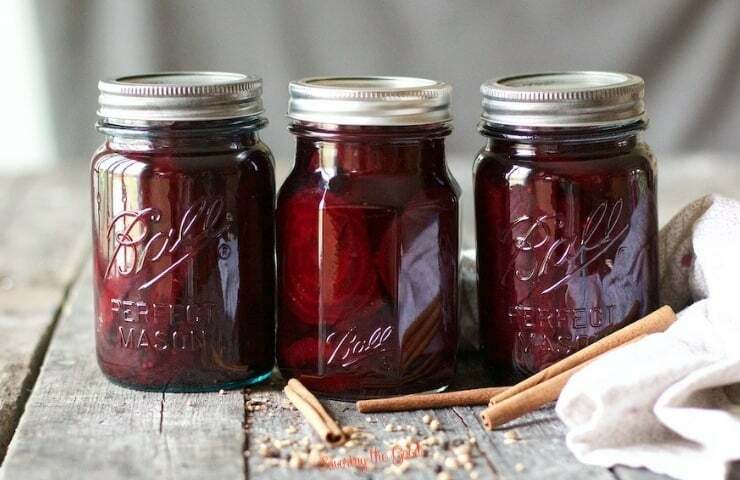 Store the pickled beets in a cool, dry place and use within a year. Hi Sarah – Great chatting with you at BlogHer. Just watched your video on pickling beets. Nice! Carol at Viewpoints.